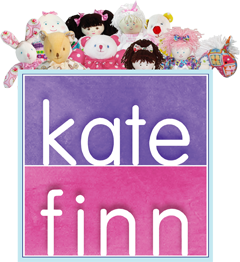 Gallery of Dolls by Pauline – The Gallery displays dolls that have already been sold from Kate Finn’s collection. This page is an everlasting tribute to the memory of Pauline and the wonderful dolls she created between 1988 and 2002. Pauline started designing simple rag dolls as a child. During the 1970’s she established her own Company. Over the years Pauline created both rag and vinyl dolls and then in 1988 released her first porcelain limited edition range. In the United States, Pauline’s dolls have been recognized by the prestigious Doll Reader Magazine ‘Doty Award’ and Dolls Magazine ‘Award of Excellence’. Some of the important facts about Pauline’s Porcelain Dolls are – Hand painted faces, hand-knotted eyelashes, the finest quality porcelain and glass eyes, gorgeous wigs and hairstyles and even poseable arms. Each beautiful fabric, smocking design and embroidered collar have been chosen and created with the greatest care and attention to detail. Now you can view and purchase the collection of exquisite limited edition dolls designed by Pauline Bjonness-Jacobsen. In most cases only one doll per design is available. We will continue to add more designs over the coming months so make sure you sign up to our newsletter for the latest updates!